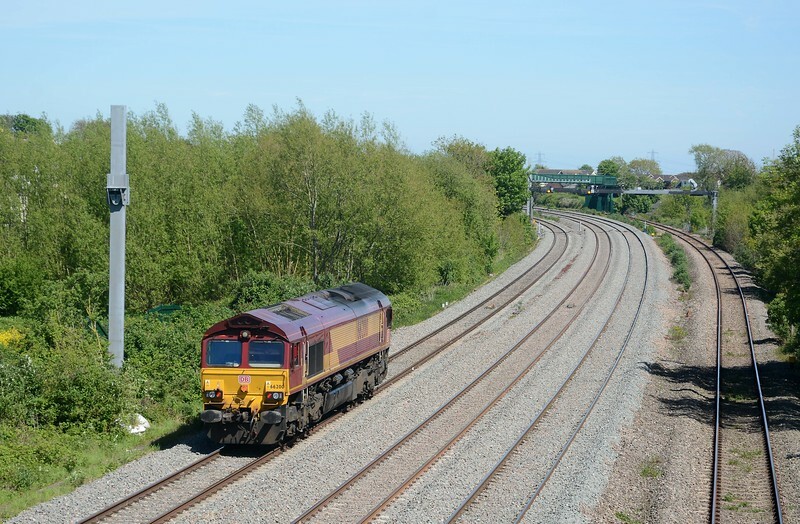 The 6M41 Margam to Round Oak was reported running as an LE from Margam. I hoped it might pick up at Llanwern but it didn't, running as 0M41 all the way, so presumably there are a string of empties at Round Oak waiting to be returned to South Wales. That vertical catenary support is relatively new, as is its opposite number.